Folks are often pretty freaked out by the sight of a spider. We think that there must be more! We imagine them crawling all over the place. And — boy! — can they be fast when they want to be, skittering from place to place in barely a snap!? Good thing that they don't have other modes of transportation. Imagine them weaving webbing between their legs and then flapping those things like a bird and taking off to flight! Spiders with wings!? Well, that's new nightmare fuel. Well, you've dreamed it so we've made it a reality. 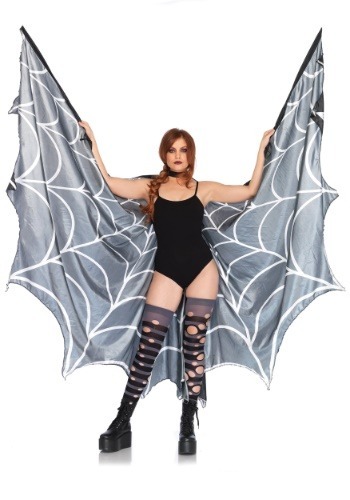 Enjoy a truly theatrically terrifying role when you have these Black Spiderweb Wings. 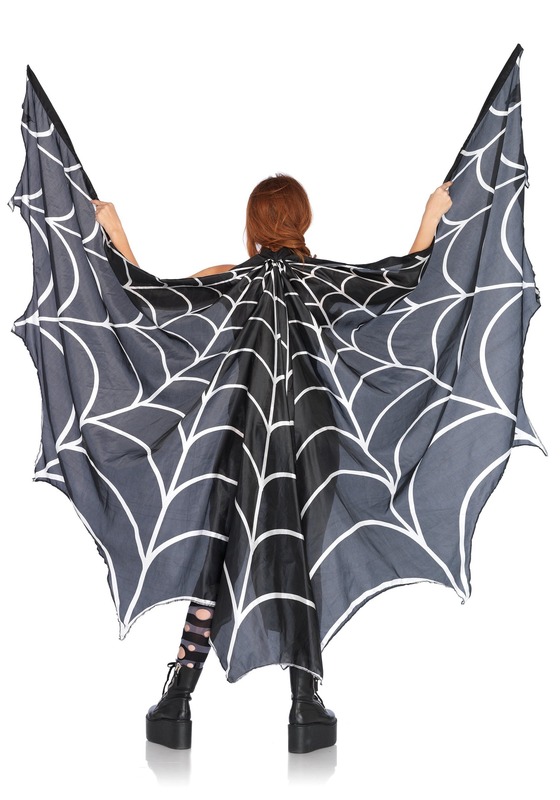 Wear this elegant cape with a bat-like shape and dark gray and white patterns that look just like spider webbing. Then, take hold of the theatrical sticks connected to the edge and you'll be able to do a dangerous dance that'll look like a spider learning to fly. It's a pretty terrifying thought to imagine that spiders can fly. While these Theatrical Spiderweb Wings will make it look like you're using webbing as wings, the terrifying truth is that spiders can use their webs to catch the wind and soar from place to place. If nothing else, this will help you deflect them!